Alberta’s landscapes are perfect for bears, bison, beavers, elk, moose and eagles. Here’s a few ideas for travel to this fabulous Canadian province, so that you too can go wild. 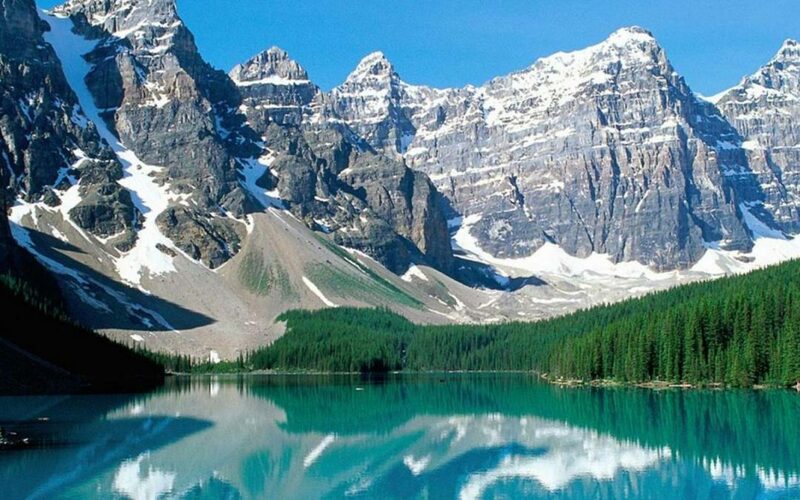 Banff: Banff & Lake Louise have awesome scenery and a great mountain resort vibe with easy access to pristine wilderness. Bears, are most likely to be spotted there from June to September/October. The Lake Louise Gondola is among top spotting sites for wild grizzly bears while Banff National Park is home to around forty black bears, plus moose and buffalo. A herd of sixteen Plains bison have been reintroduced to the park this year and are now breeding successfully. There were once thirty million bison in Canada and initiatives to revive the population were supported by Alberta’s Indigenous tribes as both a stunning wildlife addition to the landscape and as a symbol of Indigenous culture. Other ‘must do’ attractions while in the town include the Banff Hot Springs, the Banff Gondola, walking to Bow Falls and the scenic splendour of Vermillion Lake. Jasper: Jasper positions itself as the perfect base for adventure and offers unpretentious accommodation within an intimate, friendly community. Originally a railway town, it now finds itself in the midst of some of the most gorgeous protected wilderness in the world. Jasper National Park is a top spot for bears and throws in the added chance of seeing beavers, caribou and elk too. Tall and powerful, the caribou and elk have impressive antlers which they grow each summer and shed in autumn. Best time to see them is early in the morning or late in the evening. Beyond the wildlife, visitors should check out the Jasper Skytram for amazing views, take to the water for rafting, explore the stunning landscapes on bikes or with hikes, and have cameras at the ready on a visit to Maligne Lake. Cypress Hills: Less than ten minutes off the Trans Canada Highway, the Cypress Hills are a hidden gem in southeast Alberta – 600 metres above the Prairies. Its Provincial Park is a great spot for mountain bikers, hikers, watersports and horse riding. The elevated landscapes also make great habitats for wildlife, especially birdwatchers. Alberta is home to more than three hundred species of birds, including bald and golden eagles. An annual eagle migration sees thousands of eagles migrate over southern Alberta. The first golden eagles go north in late-February with the peak migration mid-March to the end of April. They then begin to return south in late August, peaking from mid-September until early-November. Other key viewing sites are in Kananaskis and Canmore above the Fisher Range. Cypress Hills is also a dark sky preserve so great for stargazers. Cochrane: Set in the heart of Alberta cattle country and the Cowboy Trail, Cochrane is a relaxed resort town in a beautiful natural setting. Only 20 minutes from Calgary and less than an hour from Banff, it offers rodeo and ranching activities, hiking and quaint shops. It is also home to the Yamnuska Wolfdog Sanctuary set in 160 acres, where visitors can get to know a pack of five resident wolfdogs. On experiential tours visitors observe some of the 30 wolf-dogs who live here first hand. Joining an interactive tour and getting up close to the animals for a better understanding of how these elusive animals live in the wild. The sanctuary is open year round. Elk Island: Elk Island National Park is home to around 600 elk and with no large predators this herd is thriving, increasing at an average rate of 20% annually. The province is also home to over 100,000 moose. Bison have had a long association with Alberta and play an important part in First Nation heritage. Today, Wood Buffalo National Park in northern Alberta has the largest population of bison; while Elk Island National Park, just under 50km from Edmonton’s city centre, has a large population too and in fact has the second largest concentration of hooved animals per kilometre in the world, after the Serengeti. There are both wood bison and plains bison in the park and flight-seeing is a great option to view the huge herds as they make an impressive sight from above. Waterton: Waterton Lakes National Park is said to hold more wildlife diversity (per sq km) than any other park in Canada and is a designated UN Biosphere Reserve . It is the meeting point of several ecosystems as the mountains meet the prairies and sightings of white-tailed deer, big horn sheep, or black bear are likely and it is a top spot for birdwatching. A wildlife weekend festival is held each September (22-24, 2017). Activities here include hiking and golf, lake cruises and photography. Waterton Lake is a wind surfer’s paradise and a fisherman’s dream and Cameron Falls is a scenic highlight. There are numerous adventure companies offering opportunities to get involved. Travel to Canada, no matter where you wish to travel or what you want to do, can be booked through WOT Travel, your friendly independent travel agent. We work with a superb Canadian specialist supplier, Travelpack, to offer totally tailor-made travel options, for business and leisure needs. From the UK, you can fly with Air Canada, Air Transat, British Airways and WestJet, directly to many of the major cities, or with onwards connections throughout the country. Feel free to contact me, Paul Smith, per following details, and allow me to arrange a tailor-made itinerary for your Canadian travel needs. If you are visiting Casablanca, then it’s a great place to visit. However, if you are staying a while, here are a few ideas of places to visit at the weekend, where things are just the little bit more relaxing. For lovers of a great escape, WOT Travel has selected three destinations, less than 100 km from the economic capital for your weekend plan! 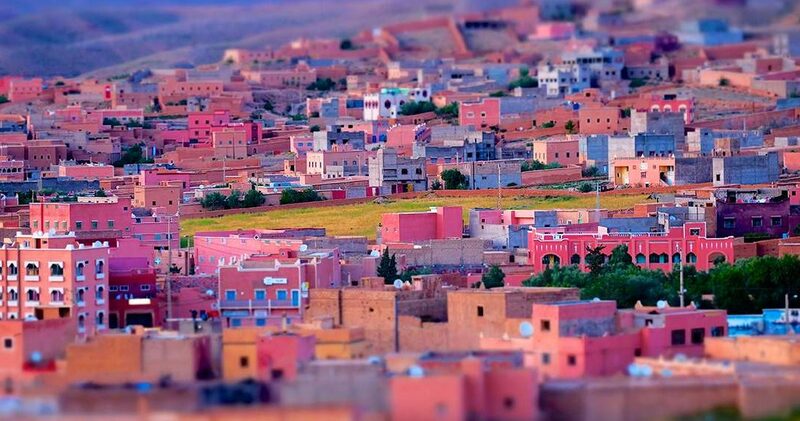 Located around 90 km from Casablanca, Azemmour or “the sleeping beauty” is one of the oldest cities of Morocco. You can discover its peaceful old medina, its magnificent beach at El Haouzia, where you will find the calm and tranquility you are looking for! It is a beautiful destination, especially for the romantics amongst us! Located 27 km from Casablanca, Mohammedia is a widespread choice for a good day or a good weekend. It has several beautiful beaches and a beautiful, well-kept park called “Parc des Villes Jumelées” for pleasant walks during the day or even in the evening. Why not spend a fun-filled day at the VGK, a large beach club area with a swimming pool offering several activities (quad, go-karting, paintball …) for you and your children. Located some 55 km from Casablanca, the province of Benslimane has several tourist sites that are not quite as well known and that require facilities to boost the tourism potential of this province. Its magnificent beaches, its forest where the space allows to practice various sports, the banks of the Oued N’fifikh, the gorges of Ain Dakhla and other tourist sites that you can discover for the first time ! At number five – a great idea for the frequent business traveller or those planning a world trip – the Push Pin World Map allows you to scratch off the gold surface and reveal the places you have visited beneath. Wonderful for kids at home whilst a parent travels, we also loved the idea of planning a series of holidays on it. At number four – a stunning piece of luggage. Whatever your budget, spend as much as you can afford on a really great piece of luggage, and it will last for years. Ideally, it should be small enough to be taken on as hand luggage, so double check the latest regulations before you buy. This great guide from Samsonite is worth checking. Number three – Book tickets to The Adventure Travel Show, taking place at London Olympia on 21st and 22nd January 2017. This is the travel show for those who like to take the holiday-road-less-travelled! 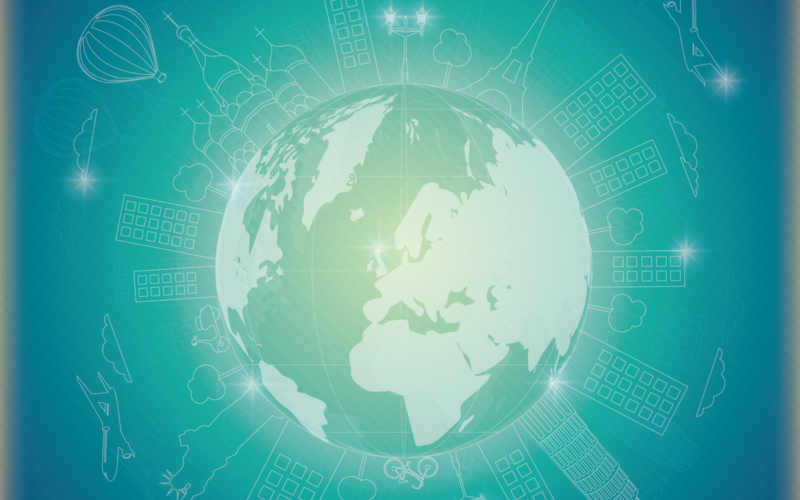 With amazing ideas for the adventurous traveller, take the one you love to the show and book your next adventure while you’re there. Number two – Really want to score some Brownie-points for the festive season? Organise a weekend for them at a spa hotel; Paul can help you find the perfect one for your partner’s taste (and your budget) and make sure your loved one feels appreciated, pampered and restored after the festivities. Number One – a weekend away, together, somewhere they would choose. Perhaps they’d love to watch the stars together, or go snowboarding, or perhaps snuggle up by a fire toasting marshmallows…. Whatever their dream escape would be, give us a call and Paul will help you plan a secret, special getaway. A gift you’ll both enjoy and remember for many years. 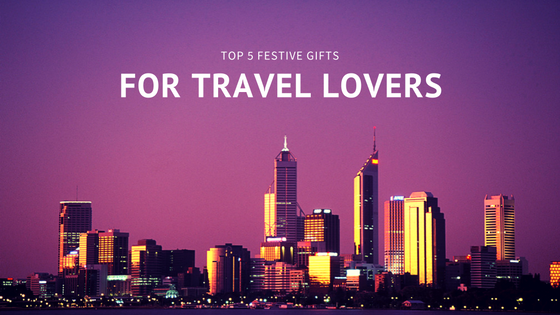 What is the best travel related gift you’ve received? We’d love to hear your ideas. Here’s to a happy and healthy Christmas and New Year to you all.